British astronaut Major Timothy Peake is to become the first British government-sponsored astronaut to fly on the International Space Station (ISS), following his assignment to a long-duration mission from late 2015 to mid-2016. Major Peake’s flight to the ISS, which will be made via a Russian Soyuz spacecraft, comes amid a period of increased UK involvement in the field of European human spaceflight. At an event in the UK earlier today – exactly four years to the day that Major Tim Peake’s selection as a European Space Agency (ESA) astronaut was made public – it was announced that Major Peake will fly to the ISS for five and a half months, as a Flight Engineer on Expeditions 46 and 47. Major Peake will launch on the Russian Soyuz TMA-19M spacecraft from the Baikonur Cosmodrome in Kazakhstan on November 30, 2015, and return to Earth on the same vehicle on May 16, 2016. During his mission, he will participate in many scientific experiments, many of which of European, and some maybe even of British origin. 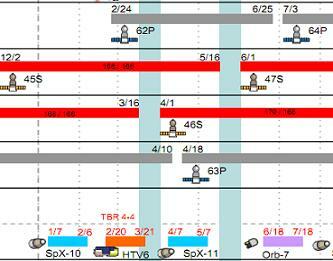 According to the latest Flight Planning Integration Panel (FPIP) chart (available on L2), Major Peake can expect to see two visits of Russian Progress vehicles during his stint on the ISS, as well as two visits of SpaceX Dragon vehicles, and one visit of a Japanese HTV, with visits of Orbital’s Cygnus vehicle also likely. He will also be trained to perform spacewalks, should one become necessary during his stay. However, plans at this point are very preliminary, and are likely to change dramatically between now and Major Peake’s launch. Major Peake’s ISS slot was preliminarily planned to be assigned to French astronaut Thomas Pesquet, meaning Peake would have been the last of his selection class to fly, in the 2016-2017 timeframe. However, Pesquet appears to have now moved into the later slot, with Peake taking his place in the 2015-2016 slot, possibly in recognition of the UK’s recent financial contributions to ESA’s human spaceflight program. 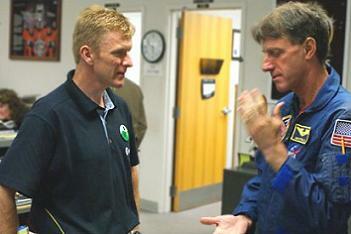 In January of this year, NASASpaceflight.com sources reported that Major Peake had been chosen to fly on a unique short-duration flight opportunity afforded by the year-long mission to the ISS in 2015. Under this plan, Major Peake would have launched on Soyuz TMA-18M on September 30, 2015, and returned to Earth ten days later on Soyuz TMA-16M on October 10, 2015. However, while said opportunity would have resulted in Major Peake flying to the ISS earlier than the 2016-2017 timeframe, it is understood that Britain objected to Major Peake being assigned to a short-duration slot while Andreas Mogensen of Denmark flew a long-duration mission, considering that the UK contributed more money than Denmark to ESA’s human spaceflight program at the most recent ESA ministerial meeting in November 2012. As such, the 2015 short-duration opportunity has now been tentatively assigned to Denmark’s Andreas Mogensen, with Major Peake now being assigned to the long-duration slot from 2015-2016, and Frenchman Thomas Pesquet likely becoming the last of his class to fly in the 2016-2017 slot. 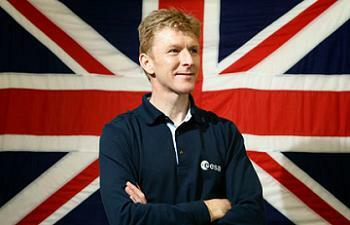 Timothy Peake was born on April 7, 1972, in Chichester, United Kingdom. In 1990, at the age of 18, he attended the Royal Military College Sandhurst, and upon graduation in 1992 went on to serve as an Officer in the British Army, serving as a platoon Commander with the Royal Green Jackets infantry division in Northern Ireland. In 1994, he graduated as a helicopter pilot into the Army Air Corps (AAC), and four years later in 1998 went on to become a flight instructor, becoming instrumental in bringing the Apache attack helicopter into service with the AAC. In 2005, he graduated from the Empire Test Pilots School at Boscombe Down in Wiltshire, England, a British military establishment that has now churned out eleven international astronauts. In 2006 he earned a Bachelor of Science degree in Flight Dynamics from the University of Portsmouth. Major Peake left the British Army in 2009, after 17 years of service and over 3,000 flying hours, and became a helicopter test pilot with the Agusta-Westland company. However, just a few months later in May 2009, he was announced as part of the European astronaut class of 2009, in the process becoming the first Briton ever to be selected for the ESA astronaut program. 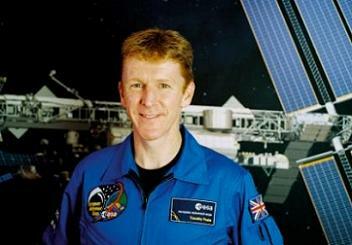 While the UK was not a contributor to ESA’s human spaceflight program at the time of his selection, it was hoped that Major Peake would serve as an incentive for the UK to become more involved with human spaceflight – a hope that has been fulfilled with the UK’s recent financial contributions to ESA’s manned programs. Major Peake graduated from ESA astronaut training in November 2010, and since then has been dividing his time between flying Apache helicopters for the British Territorial Army (TA), and astronaut training in Houston, Germany, and Russia, in the hope of an assignment to an ISS crew. Peake’s assignment to a space mission will not be the first time a Briton has been in space, with many joint UK-US nationals having flown aboard the Space Shuttle and ISS, including Mike Foale, Piers Sellers, Nick Patrick, and Greg H. Johnson. As NASA astronauts however, they all flew with US flags on their arms, and did not represent the UK. British national Helen Sharman did make it into space in 1991, however she flew as part of a privately-funded commercial experiments program to the Russian Mir space station, and as such was not sanctioned by the British government to fly on behalf of UK. Other privately-financed “space tourist” flights have also been made by joint UK-US national Richard Garriott, and joint UK-South African national Mark Shuttleworth. Coincidentally, Major Peake looks set to miss out on claiming the title of “first UK national on the ISS” by just 2.5 months, as that claim will instead go to British singer Sarah Brightman, who will visit the ISS as a space tourist, along with ESA astronaut Andreas Mogensen, for ten days from September 30-October 10, 2015, meaning that two Britons will in fact fly on the ISS in 2015. Major Peake will however be the first ever person to fly in space on behalf of the UK government, thus representing the whole of the UK, and wearing a Union Jack flag on his arm. Major Peake’s flight will also represent the end of a long road by the British armed forces to get a current or former service member in space, having come tantalisingly close on several occasions in the past. Those attempts were British Army Lieutenant-Colonels Anthony Boyle and Richard Farrimond, Royal Navy Commander Peter Longhurst, and Royal Air Force (RAF) Squadron Leader Nigel Wood, who in February 1984 were all selected as Payload Specialists to fly on the Space Shuttle as part of the Skynet 4 program. Ultimately however, the Space Shuttle Challenger disaster prevented all from ever flying in space. Major Peake however will end the long history of disappointment when he blasts off toward the ISS in 2015. “I am delighted to be proposed for a long-duration mission to the International Space Station. This is another important mission for Europe and in particular a wonderful opportunity for European science, industry and education to benefit from microgravity research,” said Major Peake on Monday. The UK has had a long and difficult relationship with the ISS over the past two decades, however, with Major Peake’s flight assignment, it finally looks as though the UK is firmly committing to the orbiting laboratory, and thus is finally set to start receiving its many benefits. The UK was a signatory to the ISS Intergovernmental Agreement (IGA) signed on January 28, 1998, between the USA, Russia, Canada, Japan, and the 11-member ESA, however it was the only signatory of that agreement that did not go on to contribute any funding to the ISS program. This was due to a long-standing UK government policy that barred the UK from contributing any funding to human spaceflight, preferring instead to focus on unmanned missions and telecommunications technologies. While this strategy allowed for the creation of a very strong satellite industry for the UK, it meant that Britain was left out of sharing in the scientific benefits that result from the ISS. Within the past few years however, the space industry has been identified as a key area of growth for the UK, contributing £9 billion to the British economy every year. 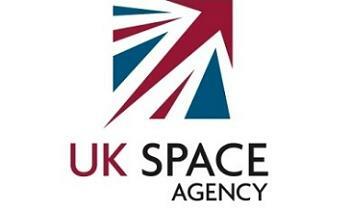 As such, a government-backed drive to increase the UK’s involvement in the space sector has been underway, which resulted in the April 2010 establishment of the UK Space Agency (UKSA), who are tasked with managing Britain’s participation in space projects, for the benefit of the entire nation. UKSA manages Britain’s contributions to ESA, and in the November 2012 ESA ministerial meeting, Britain became the only nation in the austere European budget environment to actually increase their financial contributions to ESA, becoming ESA’s third largest contributor in the process. Notable among Britain’s £1.2 billion ESA contributions at the 2012 ministerial were two never before seen British contributions to the field of ESA human spaceflight. In a departure from past policy, and following years of campaigning by many who saw the potential benefits of UK participation in human spaceflight, the UK made a £12.4 million contribution to ESA’s European Life and Physical Sciences (ELIPS) program, which will grant the UK access to the microgravity environment of the ISS to conduct research. 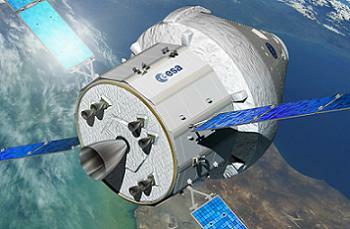 Additionally, the UK made a completely unexpected one-off contribution of £16 million to ESA’s effort to design and build an Automated Transfer Vehicle (ATV)-derived Service Module (SM) for NASA’s Orion spacecraft, which is now expected to include construction contracts for British industry in the areas of telecommunication and propulsion, meaning British made technologies could be used to send the first human beings beyond Earth’s orbit in over half a century. ESA is building the Orion SM for NASA in order to cover ESA’s share of ISS operating costs for the period of 2017-2020, meaning that, since Britain is a financial contributor to the Orion SM effort, technically the UK will be an ISS partner nation for the 2017-2020 period. It is this fact that paved the way for Major Peake’s ISS flight assignment. It is hoped that Major Peake may be able to carry out some British experiments during his time on the ISS, thanks to the UK’s recent contributions to the ELIPS program. There is a surging interest lately in UK participation in microgravity research, with the second ever UK Space Environments conference set to take place at the National Space Centre in Leicester from November 9-10, 2013, organised by the UK Space Biomedicine Association (UKSBA). 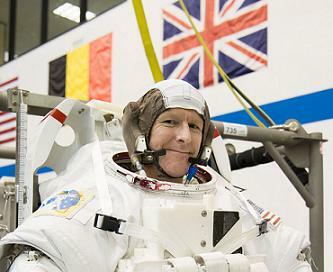 While in late 2010 the Union Jack flag was quietly removed from the ISS, Major Tim Peake will hopefully place it back during his flight, as the UK finally takes its rightful place as an ISS partner nation, with the benefits of the orbiting laboratory in the form of scientific research and inspiration becoming available to the people of Britain at long last. (Images: via NASA, BBC, and L2).